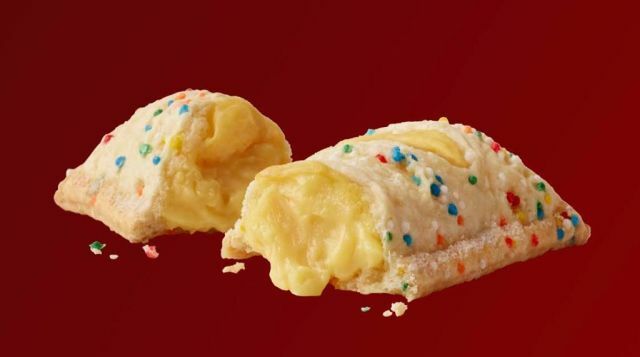 Holiday Pies have started rolling in at select McDonald's restaurants for the 2017 holiday season. The festive pie features a sugar cookie-like crust embedded with confetti sprinkles with a vanilla custard filling (you can find my review of it here). Prices vary but they're going for 89 cents or two for $1.50 at my local McDonald's. Not all locations will carry them as some will be selling the Strawberry & Creme Pie instead. If you're a fan of the Baked Pumpkin Pie or Pumpkin & Creme Pie, they're phasing out this week. If your local McDonald's still has them, you're looking at the last supply for this year.